Looks, Performance, and Bottom-Line Value… All in One. We can adapt your new or current business website design to work on smart phones and other web-ready mobile devices. Ecommerce designs that attract customers and attention. We know that online stores are different, and we have the experience and tools to help your ecommerce site become more profitable. Competitive analysis, search engine optimization, and social media are all important ingredients in your company’s online success, which is why we include all of them. Real value that’s more than competitive prices. In today’s market, it’s not enough to have a business website that’s almost great. The design and web development team at Medora can give you an online presence that’s a true value in every sense of the word. What happens when a web design company decides that “really good” is never quite great enough? The result is a process where learning about you and your business is central to everything we do, and we aren’t satisfied until you are amazed. 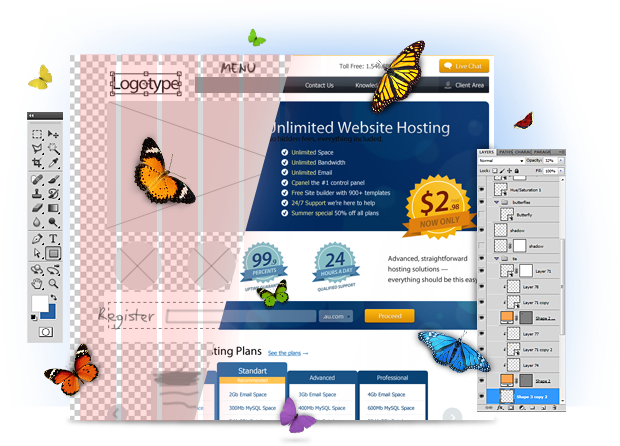 At Medora, we know that the average website lasts only two years, but a great design can stay online for five years or more. That’s why we work so hard to create the unique web presence for your organization that will stand the test of time. Whether your site calls for Flash, WordPress, HTML 5.0, or something else altogether, Medora can help. You don’t have to know what your technical needs are, only what you want your new business site to do. Creativity you can see, performance you can feel. Great web design means more than just getting the look right; it’s also about going the extra mile for quality assurance, stability, and performance to ensure that your site will always load quickly and consistently, no matter what sort of hardware or software your customers are using.